I'm usually rushing towards the end of the week, but knowing we are moving in ten days is making me a little anxious. SUPER excited but I want to make sure we get everything squared away before we leave. The moving surveyor came yesterday and took notes on all of the things we are shipping to the new house. This is sort of random, but he was so nice! You never know who is going to show up at your house from a company you haven't used before, and I was so pleased. It looks like everything should show up right as we are closing which would work out really well. Now... how about this athleisure look! 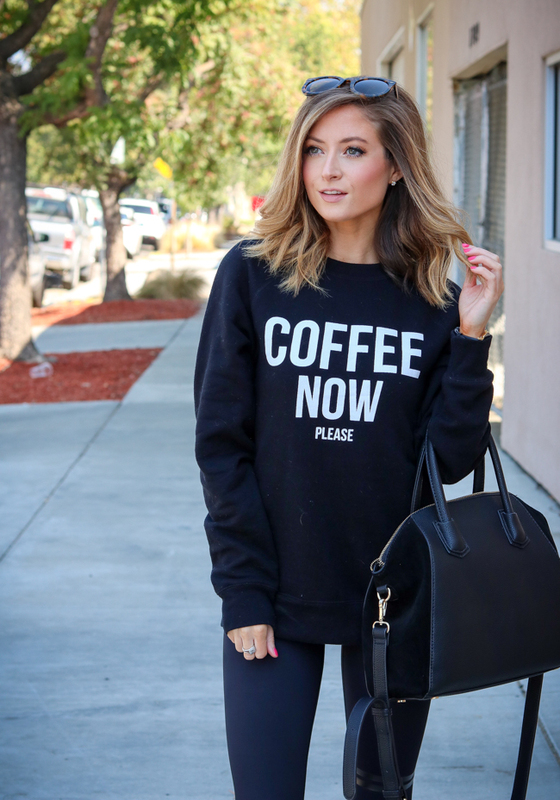 I was so excited yesterday when I saw so many people tagging their friends on my Instagram photo featuring this athleisure outfit and saying they NEED this coffee now please sweatshirt. And trust me, it's amazing quality and so comfortable! I wear mine three or four times a week around the house and have washed it several times and it looks brand new (I do let it air dry). I thought it looked fabulous paired with the fun pink and white striped Lilybod leggings - the outfit incorporates two of my favorite things... pink and coffee! 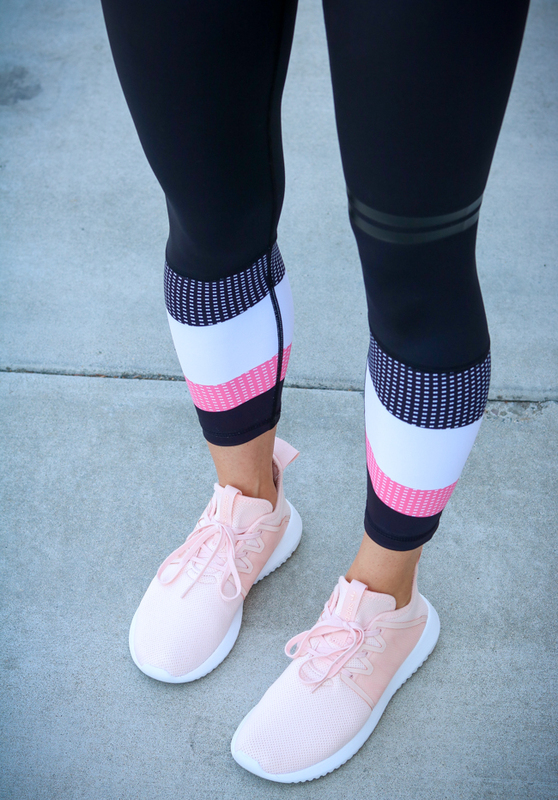 The icing on the cake is the blush sneakers that I picked up during the Nsale. I originally tried them on in my regular sneaker size and didn't like the fit. But then went down a 1/2 size and absolutely love them. Don't forget to enter my GIVEAWAY with Busy n' Buzzed below! It ends tomorrow and you can see how I styled an outfit with my coffee cup HERE.